As you read this, sales teams everywhere are streamlining, synchronizing, synergizing... anything deemed necessary to fill the pipeline with probable deals. 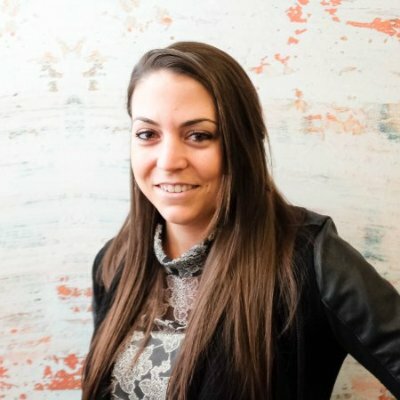 But when it comes down to it, pretty much every company that struggles to hit revenue targets — assuming they have a worthwhile offering, that is — does so because they haven’t yet arrived at a scalable way to pinpoint the right prospects, understand their unique situation, and engage them in a way that justifies a response. Scroll on to see how five EMEA-based companies use LinkedIn Sales Navigator to cut through the fluff and seize control of their sales process. Integrated learning and talent software company Kallidus knew what its ideal customer looked like. The problem was, the company needed a better way to identify matches, reach leads, and strengthen relationships. 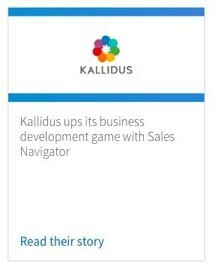 Kallidus turned to LinkedIn Sales Navigator, first using the tool to support the business development team’s phone and email tactics with advanced targeting and insights. Today, Kallidus also takes advantage of the tool for researching, creating targeted lists, and contacting prospects through InMail. The Recent Mover filter and the automatic updates feature have been particularly helpful as a means of pinpointing contacts with potential. Baltic Training, an education management company that focuses on tech apprenticeships has always been a proponent of using LinkedIn for prospecting. Prior to upgrading to Sales Navigator though, the company’s sales team found they were being held back by the cap on searches, profile views, and messages. Upgrade accomplished, Baltic Training boosted its ability to identify a diverse range of professionals who could potentially benefit from its offering. The sales team used saved searches to better organize and track customers and prospects. 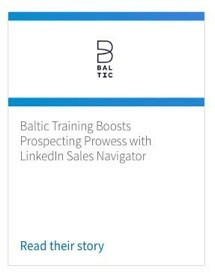 And the unique insights gleaned from LinkedIn allowed Baltic Training’s sales pros to connect and engage with a targeted list of accounts through in-platform messaging and InMail. EDICOM is a global leader in the development of electronic data interchange (EDI), a specialized industry that requires the company to reach a niche audience. Prior to using Sales Navigator, EDICOM struggled to seek out the best prospects within complex corporate hierarchies. The company had a somewhat unconventional goal mixed in with its desired outcomes for Sales Navigator: help employees become eager brand ambassadors. The company’s organic followers have increased by 42% as a result of this vision, and the more than 100% lift in engagement metrics such as likes and shares has done wonders for lead generation. EDICOM’s marketing team relies on audience insights from LinkedIn to better align content with specific opportunities. What a difference a tactic can make. Before Sales Navigator entered the picture, Papersoft’s sales team tried to engage global sales prospects with cold emails. The results were frigid at best — the company’s sales team exerted much effort with little engagement to show for it. With higher response rates to their InMails and the newfound ability to see which people viewed and interacted with sales content via LinkedIn PointDrive, Carvalho’s team uncovered promising prospects across the globe, also resulting in the closing of a crucial deal. As an enterprise risk management solutions provider, it’s important for Sword Active Risk to stay on top of industry trends and pivotal players, in addition to the target accounts they need to engage. 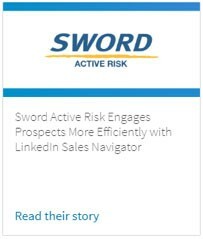 The Sword Active Risk sales team started using Sales Navigator because prospecting had become a time-consuming and costly venture — they needed a more efficient way to reach and engage potential clients. It was becoming hard to keep track of updates and timing triggers, particularly when key contacts changed roles or companies. Sales Navigator empowers sales teams to better target, understand, and engage with the people who matter. Learn how your team can succeed with Sales Navigator.